Berlin seems to forever hold the inescapable feeling of ‘somethings about to happen’. 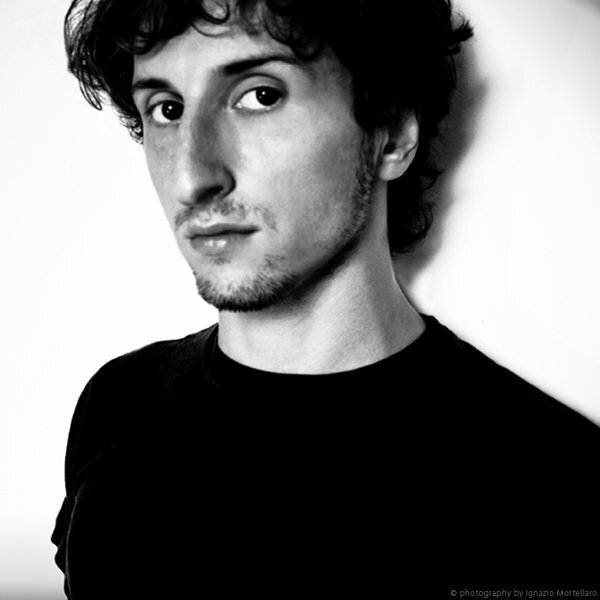 Its labels like Stroboscopic Artefacts that keep Berlin’s air and your techno club static. In Stroboscopic Artefacts short yet industrious existence it has rapidly built a reputation of ‘compressed dub’ coined by label founder Lucy. SA tracks are lauded as Berghain tackle instantly upon release. Since Stroboscopic Artefacts inception in 2009 the label has found its feet, taken it’s first steps and is now leading the charge. SA’s debut releases were widely applauded thanks to cuts from Lucy and Xhin’s epic Fixing The Error championed by the likes of Speedy J, Function and Jerome Sydenham. 2010 has seen the adventurous and successful Monad series fire with artists Perc, Pfirter, Markus Suckut and Donor all contributing to a every 2 weeks release over the summer. Stroboscopic Artefacts have also announced that SA releases will be available for purchase directly from their website, giving SA fans the opportunity to further support the label. Music to everyones ears. Tell us a bit about growing up in Italy and what eventually lead you what you call ‘compressed dub’. Growing up in Italy was beautiful, but also violent. I grew up spending most of my time on the streets, learning those kind of rules and codes... but at the same time Sicily, where I'm from also means spending your time outside, 6 months of summer and sunshine a year. As a consequence of that life style, reggae and dub styles were certainly the main things to listen too, but not the only genre... after coming back home from a 3 days roots reggae festival, the thing to do was to go to some of my secret, abandoned places with some friends and listen to noisy IDM, ambient or breakbeat. The reality is that at that time I was really split in two musical directions. Somehwere I still have some old mix tapes I made for friends, where I had Lee Scratch Perry, AFX, The Abyssinians and Eno all in a row. I always try not to forget that “boundary crossing” way of feeling music, thinking about the fact that following an identity is not just following a particular style obsessively, but about deeply respecting your mood and your way of perceiving the world. I often think about that while producing music or choosing the next release for Stroboscopic Artefacts. You founded SA in 2009 and have been incredibly prolific with releases since. How has it been working with so many great artists and getting the label off the ground. Just great. And you know why? Because mostly I don't take a single track from anyone, I take an artist in their fullness when possible. When you believe in someone so strongly, they will believe in you as well. It's a karmic mechanism, the more I get close to my artists and give them the respect they deserve, the more and more they act in the same way with me and with the platform. 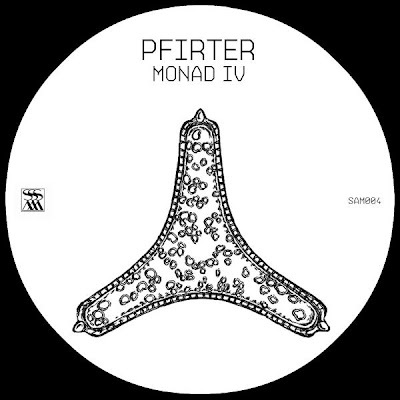 A little example: When I asked Pfirter to be part of the Monad Series on Stroboscopic Artefacts, the first thing he sent me was a bunch of experimental tracks. We used all of those innovative ideas as a palette of elements to create what afterwards took the shape of his Monad IV release. The result? A release from the known Pfirter on one side, but also from the unknown SA's Pfirter on the other side. It is the first time that he released tracks like "Supraventricular" or "Materia". That is what I'm looking for from an SA artist. It's what I always find with our early acquisitions like Xhin or Dadub, or with the latest like Perc, Donor and Markus Suckut. Tell us a bit about the idea behind SA’s Monad Series. It was quite an ambitious project, how is it going and what spawned the idea for Monad? Yes, it was a hard job to make the Monad Series happen. I wanted it to be a compact series, in the sense of the mood and in the sense of the releases frequency, we did one release every two weeks during the summer. We started to work on it a long time before, discussing at length with the artists involved about the "how” and the “what" we wanted. After that first contact, every artist provided the right things with almost the first shot, showing me clearly how deeply they understood the sense of Stroboscopic Artefacts and in particular the Monad Series of a more introspective, extreme and experimental way of approaching techno music. How did you go about finding the artists to contribute to Monad? Some of the artists I asked straight away, for some others I asked them to produce a Monad release after having heard some really promising demos. All the rest came really naturally.... It's a sweetly paradoxical sensation, from a forced stimulus "make this for me", came a spontaneous response in the sense that the artist was allowed to “breath” in the inspirational atmosphere and freshness, this then comes across when you listen to the Monad tracks. 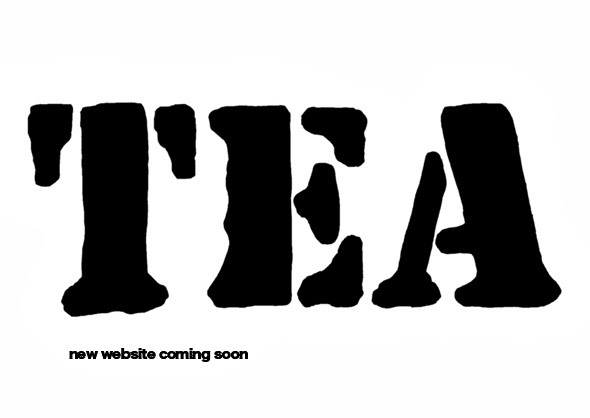 The final test was the mix I was asked for from Resident Advisor, on the occasion of our Label Of The Month feature. I decided to make something special and mix only Monad tracks, ok their was one outsider at the end of the mix (Laughs). The tracks were interacting really brilliantly during the recording session, so homogeneous and yet different at the same time, so much so that I could release that mix as a independent release. This is enough for me to be more than satisfied with the Monad Series, just as all the contributors are. Rumour has it you are collaborating with Singaporean sensation Xhin, what’s going on there? At the end of the day, when the rumours are true, I never know if to detest or love them. For some, Xhin has burst onto the techno scene thanks to his Fixing the Error//Link & Monad III releases on SA. Little do people know the extent of his work with a previous album on Meerestief as well as the recent Incidental 12” on Jerome Sydenhams Apotek . How did you first come across the exciting Xhin? Xhin has been working a lot for Meerestief Records, and one day Walter Ercolino, Meerestief's label owner put Xhin's first album in my hands, this happened a couple of years ago. I was so electrified that I said to myself "If I ever start a record label that's the first artist I'll ask". He's one of the core artists of Stroboscopic Artefacts, he was there from the beginning... and surely other diamonds will come from him soon. 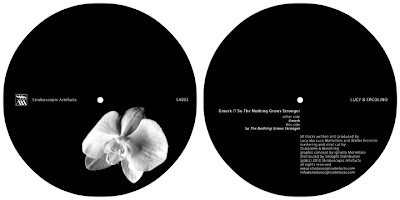 You previously teamed up with Walter Ercolino for your Gmork/So Nothing Grows stronger EP released on SA. Is this something you enjoy doing, collaborating with others? It's not so common that I feel so good in the studio with someone. You have to maintain a really delicate equilibrium. I really enjoy doing it when and if I want to make it happen, but most of the time I need to produce alone. The production moment is something really intimate for me. While making music I get so concentrated and, most importantly so alienated that it's really hard to communicate with the world around me. The start and finish is when I collaborate with someone in the studio for all the rest I prefer to keep it via the web. Can we expect full length albums from SA anytime soon? Your mastering process for SA is quite intriguing, can you tell us a bit more about Artefacts Mastering with Giovanni Conti and Daniele Antezza aka Dadub. "[...] we search for atoms of “narrative flow” in the mid-high frequencies, trying to bring under the spotlight the hidden gems that lie in the background, like taking the hands of a shy creature and giving it power and beauty. We try to adjust the character of the tracks to give them some pulsating life, enhancing the musical elements that have more expressive potential and bringing on the background the ones that are not working in the right direction, sometimes doing more a work of audio post-production than just mastering. 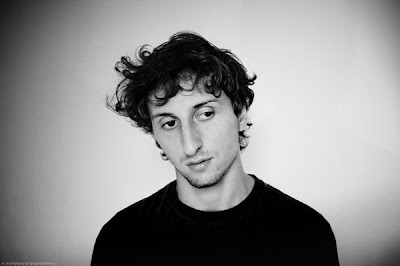 [...] SA was the first label that pushed us to work hard and build an efficient and creative working methodology, Lucy wanted us to, let’s say, co-produce the sound of the label, and we have a strong connection with his aesthetic vision, also reflected in the name we’ve chosen for our studio." Equally intriguing as Artefacts Mastering and Stroboscopic Artefacts is the fascinating Oblivious Artefacts, tell us a bit more about that? I'm personally collaborating with Oblivious Artefacts for projects outside Stroboscopic Artefacts, a more general and outside of the club type thing. What I do with Oblivious Artefacts is work on the sound part of the performance and happenings for exhibitions or galleries. Regarding their relationship with the label, my brother Ignazio Mortellaro takes care of the graphic concept of our artworks. We have been thinking a lot about the graphic concept of each series, and I really like the way we decided to go. I like paradoxes in general, as a really functional method of artistic expression. For example putting flowers, usually associated with colour and life, on 12"s covers of dystopian Techno releases. This transforms them into black and white, it isolates them from their natural "milieu" to put them on a stark black background. This can suggest the idea of a world where flowers and colours are just “artefacts”, as what will probably happen. Have you ever seen some pictures of Linfen, the Chinese city? This is today...not in 2050. If this is our future, or our actual present in some cases like Linfen, then the artistic community is strongly responsible for giving this scary panorama a visible/audible shape. Should we decide to just contemplate, listen and dance or to do we think about a solution? It's up to the individual. Do all 3 intertwine their projects with each other? Of course, AM get the tracks from me accompanied by the concept explanations in mood, same thing goes for OA at the same time. Then both merge giving me the final product. It's a well working feedback system, Lucy --> SA idea --> Artist involved --> Lucy --> AM and OA --> Lucy --> SA release. Nice, isn't it? A lot of SA’s releases come accompanied with DJ tools, Is this something SA prides itself on? Tools are a double-sided thing, with two possible levels of explanation. At the first and most immediate level, they are dj tools. You can play around with them while playing live, remixing the original track or transforming other tracks and mutating the face of a sound. On the second level they are an extract, a club track take to an out-of-the-club. It's a more intimate listening, it's like scratching away at what makes Techno for the dancefloor and only keeping the resonances, dubbings, echoes... all the elements that make that track, THAT track. You have 3 upcoming SA showcases in New York, Madrid and Berghain. Tell us a bit about what we can expect from a SA showcase. Come to see... It's not so easy for me to describe what happens emotively in an SA Showcase,, usually extreme parties, exorcising dance rituals... I vow, people will have fun. It is always interesting to see how techno is received with crowds outside of techno’s mainstays of Germany, the UK and some of continental Europe. You have an upcoming US tour, how do you think your style of compressed dub will go down in the states? I think that the scene in North America is strongly underrated. People over there in the right places are just as well educated in good techno as in Europe. Labels like Droid Records, artists like Donor or DVS1, parties like Oktave in NY, clubs like Bar Americas in Mexico. These people are based in the US and Mexico and they are pushing the same way of thinking about club music as us Europeans, with the same strength and passion. Tell us a bit more about Lucy productions, can we expect anything soon? I'm very happy to have 12"s coming out on Prologue and Mote Evolver. Those two labels express the two main sides of what innovative techno is nowadays. Then, about the remixes thing, I do not accept them as often as I'd like. Tracks really need to persuade me. That's exactly what happened with Pfirter for Stockholm LTD and with Go Hiyama for Perc Trax... both remixes coming soon. A couple of tools for the next SA release coming as well. Finally, what is your favourite tea? Red Bourbon Vanilla Tea, without any doubt.